THIS PIECE WAS ORIGINALLY POSTED ON THE ROPENSCI BLOG. The paper, which is freely available, describes the package and the data it wraps in detail. Rather than rehash the information here, we will use this post to briefly introduce the goals of the package and thank some of the people that helped it come to be. What Data Does Open Tree Have and How Can rotl Help You Get It? The Open Tree of Life combines knowledge from thousands of scientific studies to produce a single source of information about the relationships among all species on earth. In addition to storing the trees and taxonomies that go into this project, the Open Tree provides a “synthesis tree” that represents this combined knowledge. The Open Tree data can be accessed via the web page linked above, and through an API. 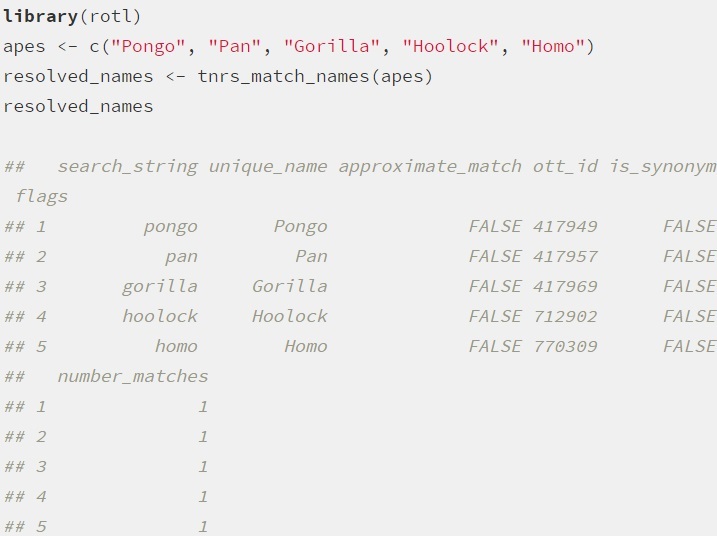 rotl takes advantage of this API to give R users the ability to search for phylogenetic information and import the results into their R sessions. 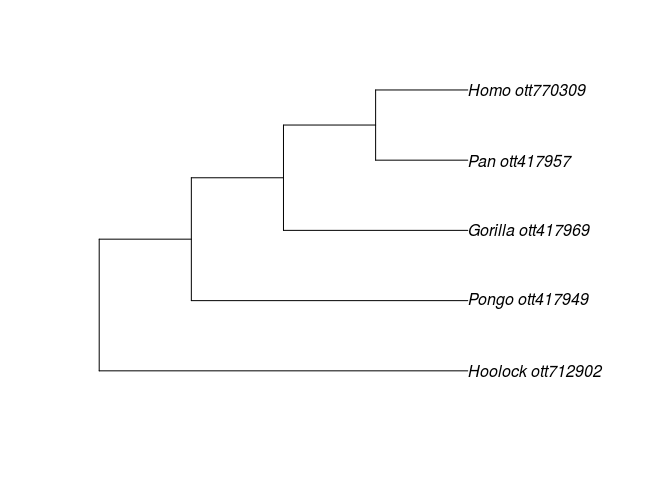 The imported data can then be used with the growing ecosystem of packages for phylogenetic and comparative biology in R.
The tree is an object of the ape class phylo, which is used by most other phylogeny packages in R. There are two vignettes describing how the fetched trees can be paired with other data and used to reproduce a comparative analysis. Another vignette provides and introduction to the package and includes an FAQ. We’d like to thank the Open Tree project for providing such an amazing resource, and for producing a powerful and well-documented API. rotl was initially developed as part of the Open Tree’s hackathon in Ann Arbor in 2014. We’d like to thank the Open Tree project for inviting us to the meeting and all participants of that meeting for discussions and their feedback on rotl. The package was reviewed as part of the ROpenSci onboarding process, and we’d like to thank Scott Chamberlain for the time and expertise that went into this review and improved the package. This entry was posted in Methods papers and tagged applications, Comparative Biology, Open Tree of Life, phylogenetic trees, phylogenetics, R package, ROpenSci, rotl by Chris Grieves. Bookmark the permalink.